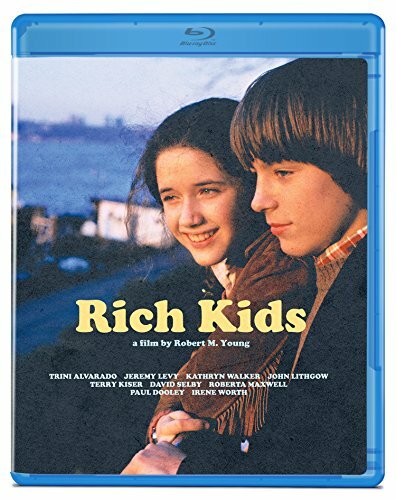 Rich Kids, a romantic and heartwarming tale of young love set in New York, stars Trini Alvarado (Times Square) and Jeremy Levy (TV s Holocaust). Despite their upwardly mobile backgrounds, Franny (Alvarado) and Jamie (Levy) find themselves navigating universal issues including family discord, divorce and romance in the Big Apple. Directed by Robert M. Young (Extremities) from a screenplay by Judith Ross, with Robert Altman serving as executive producer, Rich Kids is a showcase of 80's Manhattan that co-stars John Lithgow (Terms of Endearment), Olympia Dukakis (Moonstruck), David Selby (The Social Network), Paul Dooley (Breaking Away), Terry Kiser (Weekend at Bernie s) and Irene Worth (Eyewitness).